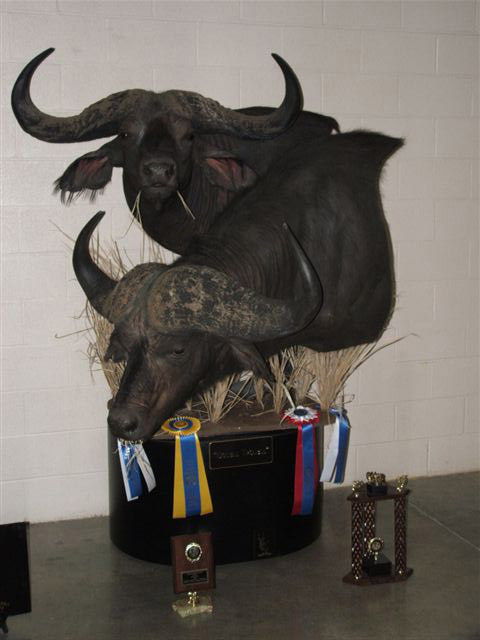 On the 2 cape buffalo below, RJ received 2 blue ribbons & earned his Award of Excellence at the 2005 NTA convention in Sioux Falls, S.D. USDA Approved Facility & Visa/Mastercard accepted. RJ competed in his first competition. As you can see RJ Simington has excelled by leaps & bounds, letting loose his innermost artistic ability & designing one of a kind pieces with true high quality craftsmanship. We have all State & Federal Permits for the taxidermist in the USA, Including USDA Approved Facility Static, to allow our studio to import any shipment from anywhere in the world. 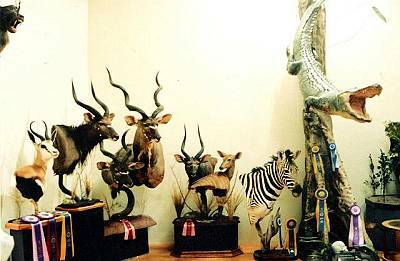 Our taxidermy Studio is also equipped with an on site tannery to enable full control of every skin & giving us the ability to complete mounts in 8 to 12 Months from time of 50% deposit. In 2002 & 2004 RJ & Teresa traveled to South Africa to research & hunt the animals of the ‘Dark Continent’. 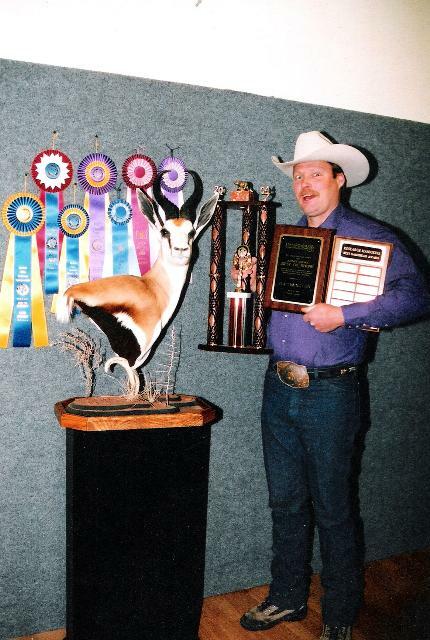 The knowledge gathered on these trips have enabled RJ to mount the most difficult animals with full confidence & ability. 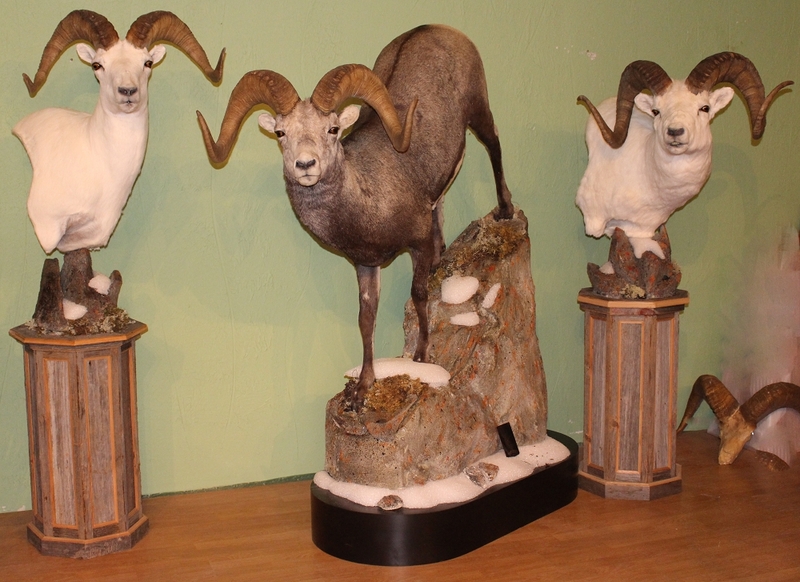 For our customers from the lower 48 that are hunting in Alaska we offer discount expediting to our studio in Oregon. 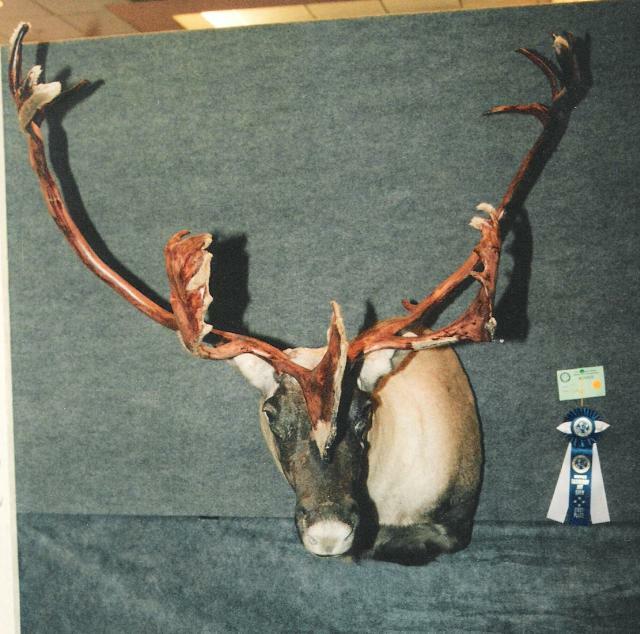 This will save hundreds of dollars in shipping of skins & horns/antlers. 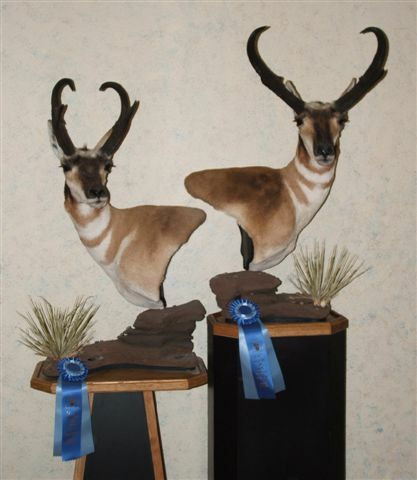 This will allow us to mount your piece in our Oregon PRO Taxidermy studio, from where you can either pick up your piece in person, or have it professionally crated & shipped to your location using our discount shipping. For our customers added convenience RJ is an SCI Master Measurer. Due to the current economy we are no longer able to offer free shipping or delivery of mounts & safaris. These services can still be arranged for a fee. Klamath Falls, Oregon and Fairbanks, Alaska.